Our agglomerator plant and machine also know with this names like, plastic film compactor machine, film agglomerate machine, film agglomerator plant, film compactor, film densifier machine, plastic film densifier machine, plastic film densifier plant and machinery, plastic densifier, turbo washer, film washer, plastic film washer, plastic film turbo washer etc. And our agglomerator used for various other applications like material mixing machinery, asphalt mixing plant, construction machinery, mixing machinery, asphalt machinery, asphalt tank, hot recycling plant etc. We are known for best quality product supplier from our clients. The same we supply our film compactor to win their faith. Our plastic agglomerator widely used for recycling thermoplastic films, cutting soft polyvinyl chloride (PVC) waste and chemical belt etc. With sophisticated infrastructure and years of experience, we are offering wide range of agglomerates to clients as per their requirements. 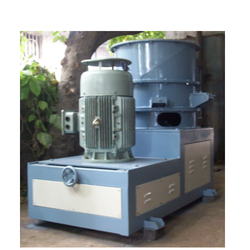 Our film compactor is capable to used for various materials like pet, PP, PE, HDPE, PVC. We are also manufacturing plastic turbo washer, which nothing but giant size of agglomerator. Even our machine is used for other applications like material mixing, asphalt mixer, construction material mixing, hot recycling machine. 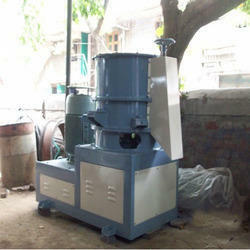 We are offering Agglomerator Machine to our client and our product is made of good quality.